In the following section, City Maids answers some of our most frequently asked questions. If you do not see your question listed here, do not hesitate to contact us directly! Are there any cleaning supplies or equipment I need to supply? We do suggest supplying your own cleaning supplies and vacuum cleaner. We can provide everything required to clean your home for additional cost. Will the same maids clean my home each time? 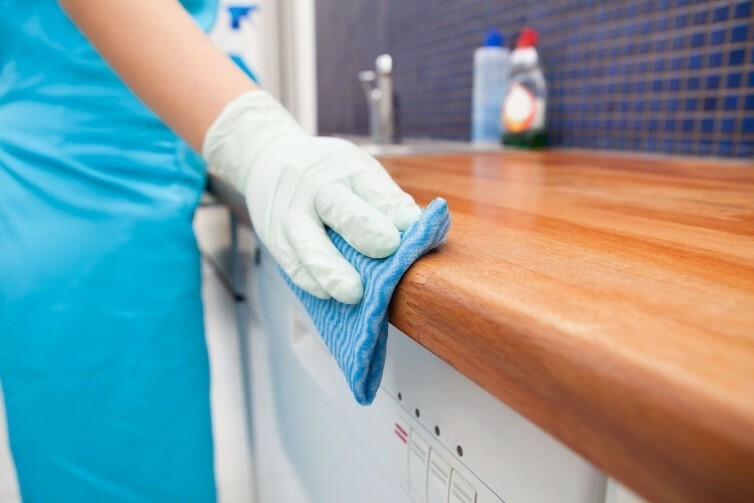 City Maids will attempt to send the same cleaning team each time we clean your home. However, due to vacations, illnesses, and other reasons, sometimes we may need to substitute another professional cleaner. Can you clean my home even if I am not home? Yes, our maids can clean your home while you are at work or running errands. The only thing we ask is for you to provide a key in advance, if you are not going to be home on your scheduled cleaning days. What if I have a security system? You can either provide us with the code and instructions for disarming/arming the system, or leave it off on your cleaning days. Who has access to the key I provide City Maids? We code your key so that it does not have any identifying information, like your name or address, and keep it in a secure location in our office. Your maids are provided the key before your scheduled cleaning and then it is returned to our office for safe-keeping. We accept Visa, MasterCard, personal cheques, e-transfers and cash for payments. We do ask payments be made at the end of each cleaning and can work with you to make other billing arrangements for our services. Can I change my cleaning schedule and/or services? Yes, City Maids allows you to customize your cleaning schedule and services and is happy to accommodate change requests with at least 48 hour advanced notice. Do my maid come at the same time each cleaning day? City Maids tries to maintain consistent schedules and times, but delays can occasionally occur due to weather, traffic, and other reasons. If your maids will be more than 30 minutes late, we will notify you.